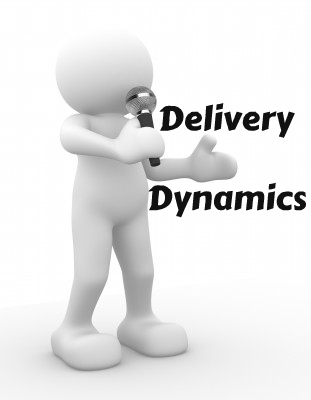 Delivery Dynamics: Do They Trust? Delivery matters because communication does. We have considered two important questions: can they hear and will they listen? Another important consideration relates to how listeners perceive the speaker. 1. Eye Contact. You wouldn’t buy a car from someone who refuses to look at you. Shifty eyes are a real turn off. If someone wanted to tell you about a wonderful place they visited, but kept hesitating and checking some notes, you might be suspicious. Eye contact is massively important in the whole package of sermon delivery. Whatever we can do to maximize appropriate eye contact, let’s do it. Don’t skip around or you’ll seem flighty and untrustworthy. Don’t linger too long or you’ll communicate intimidation or intimacy. But do make and maintain meaningful eye contact with listeners if you want them to trust what you are saying. 2. Belief. Bert Decker’s book, You Have to Believe to be Heard, is well worth a read. We are able, as listeners, to perceive whether someone believes what they are saying. The signals are made up of multiple factors in tone, articulation, gesture, expression, posture, etc. If people perceive cockiness, that won’t help. But if they don’t perceive belief, they won’t trust. 3. Body Language. So what are some of these visual signals of conviction? If something is important, then not only should the words chosen reflect that, but the communication of our bodies should reinforce it. A confident and secure posture is important. Don’t stand awkwardly and squirm. Be seen. Don’t hide behind a heavy pulpit, be as visible as possible. Leaning forward tends to underline an important point. Appropriate gestures help. Leave the hands in pockets casual look for a casual illustration.